Hewlett-Packard is releasing a range of new laptops and netbooks at CES this week. 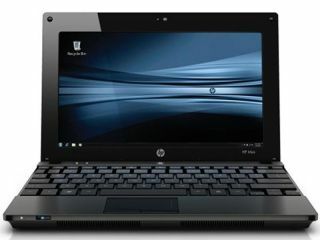 The world's largest PC maker, Hewlett-Packard is releasing a range of new laptops and netbooks at CES this week. Leading the pack is the company's first-ever touch-enabled netbook, giving an indication of where the mini-computer market is likely to be heading in 2010 and beyond. As we emerge from the last few years of recession and cut-backs, low-cost netbooks are now expected to make up roughly one-fifth of all of portable PC shipments over the last year, according to DisplaySearch. The Mini 5102, HP's new touchscreen netbook, is pretty predictable in terms of the standard netbook specs featuring a 10-inch display, and weighing in at only 2.6 pounds. HP's Mini 5102 also features face recognition software and Intel's next gen Atom netbook processor, Pineview. It is priced at $399 in the United States, with UK pricing set to follow shortly. The HP Mini 210 is available from mid January at a recommended retail price of £319.99, for de-feature, and £279.99 for full feature versions. All of HP's new netbooks feature QuickWeb, Linux-based software that lets you access the internet and your essential files in seconds. HP has also announced the latest touchscreen-enabled laptop, the £799 TouchSmart tm2, which has a swivel-screen that enables it to turn into a tablet. Take that, Apple and Microsoft! The new TouchSmart features capacitive multitouch technology that works with both your fingers or a stylus. "This is our most sophisticated and versatile machine to date and continues to build on our heritage of innovation in touch technology."